Let me start by saying that you’ve most likely heard stories about bloggers and digital nomads who make six and seven figures online in their spare time. These success stories can be both inspiring and intimidating. The truth is that the results of that size require an immense amount of dedication, persistence and they are definitely not typical. However, you can learn and apply the same strategies these people have used to achieve financial freedom, even if you have limited time and aren’t ready to risk a lot of money and start to make money as quickly as humanly possible. And this leads us to the point that one of the easiest ways to get started to earn money online is through affiliate marketing. The most significant upside of it is that there are almost no upfront costs. There is no risk. You don’t need to buy any inventory, and you don’t have to deal with any customer service or shipping headaches. All you have to do is promote products created by other people. Affiliate marketing uses a simple business model: businesses pay you a commission when you sell their products. While not all companies are running an affiliate program, there are thousands to choose from. Each one has its own rules and commission structures. When you are just starting, the best affiliate marketing strategy is to stick with the two or three different, but related programs. Once you have gained some experience and made some money, you can expand your affiliate business. The reason companies have affiliate marketing programs is that it is more cost efficient for them to outsource some of their marketing. Instead of paying for ads or blog posts that may never do anything, they are paying only for marketing that actually results in a sale. Affiliate marketing business model is also a good deal for marketers like you. You don’t have to take any risks with developing products or carrying inventory. You can just focus on creating content that makes people want to make purchases. This is why affiliate marketing is generally a WIN-WIN business model, hence so many companies try to incorporate it in their sales strategy. How to Start Affiliate Marketing Business and Make Money? There are multiple ways how to get started, but if you are a beginner, we recommend to follow a 6 step process. You can literally repeat it over and over again, and expand it (multiple niches, new affiliate programs, etc.). But like with anything else in life, at first it won’t be smooth – you will struggle to get some traction right out of the gate, and results will take some time. However, the more you will execute the 6 step plan we provide below, the easier it will become for you to make money as an affiliate. Ultimately, making money with affiliate programs will become effortless. The first two steps in this process are the most important to your success. It is also the place where most marketers quit. 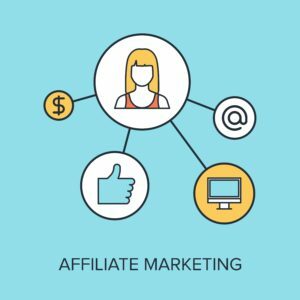 If you spend your time picking a profitable niche that you are passionate about and creating interesting content, you will love affiliate marketing and it will not seem like a lot of work. More importantly, you will find it easier to make money. Once you sign up for an affiliate program, you will get a unique affiliate code or link. Every affiliate program works differently, but the underlying mechanics are the same. 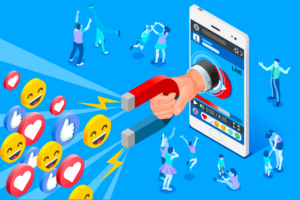 You take the link or code that company provide you, and you use it everywhere: insert it in your blog post, put it on your social media posts or as a link from your YouTube video. Next, once someone clicks on your link, it will take them to the sales page of the product you are promoting, and if they purchase, the code in the link tells the company to credit you for sale. Depending on the program, you may get credit for a sale made within 24 hours, 3 days, or even 30 days after clicking your link. One thing to remember is that the more expensive is the product that you try to promote as an affiliate, the higher commissions you most likely are going to make. At the same time, it will be much harder to persuade people to buy through you. Therefore, when picking a product to promote, more critical then the price point of the product is conversion rate: how many sales the offer makes from 100 visitors who visit the sales page. 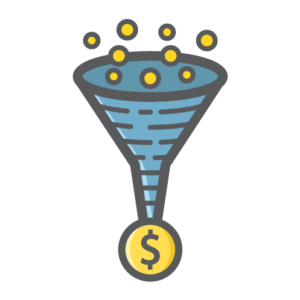 Higher conversion rate means that it’s much easier for you to earn commissions as well. It won’t be a complete guide for you as a beginner affiliate marketer if we wouldn’t touch on the legal and ethical issues concerning the whole make money online space. You already know that there are a lot of scammers online, so you want to make sure that you are never seen as someone just trying to make a quick buck. There are also a few laws that apply to affiliate marketing. In addition to complying with the law, you want to create an ethical affiliate marketing business. This means that you don’t promote garbage and scams. Even though you are marketing other people’s products you are also creating your own brand. If you want to be successful you need people to trust you. If you promote poor products just because you get paid a big commission, you will lose that trust and over time you will make less money. Finding your niche is the first step to making your first $100 online through affiliate marketing. Why pick a niche? Why not just market the most expensive products you can find? There are two key reasons for selecting a specific niche. One, selecting a niche makes it easier for you to create related content and to attract an audience highly interested in that content. Imagine going to a website to find out about lawnmowers and once you get there you find articles on lawn mowers, digital marketing, how to make money from home, home repair, and beekeeping. Would you trust the content on that website? Plus, it would be almost impossible to generate enough traffic in all of those different areas to get enough sales to make the work worth it. You also want to stick to a niche that you are interested in. If you don’t like animals, it may be torture for you promote products for dog owners. Your content will be flat, and you will often find reasons to put off doing what needs to be done. Selecting a niche focuses your work and increases your chances of success. Once you have one niche up and running you can add a second niche later on. 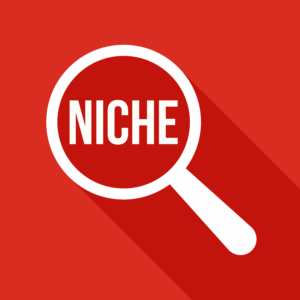 How do you pick the right niche? Your life’s passion might be breakfast burritos. But, this is not a profitable niche. There are only so many breakfast burrito products that could sell, and there are not a lot of people looking to buy a breakfast burrito online. So your passion needs to be aligned with money factor. One way to approach niche selection is through basic keyword research. You can start by checking Google searches. The general rule here is that the most money can be made in the niche that has a lot of searches but doesn’t have too much competition. But be careful, one of the biggest mistakes affiliate marketing beginners make is that they go after searches with no competition. If there is no competition it also means that there is likely no money, so your time will be wasted. Once you are clear about the niche, the next step is to pick an affiliate program. Now, there are obviously thousands of affiliate programs to choose from, and it takes quite some time to find the one that fits your requirements. But if there would be one thing to suggest, then it’s this: choose the product first and only then look for the affiliate program. What we mean by that is that when you find a product in your niche that you truly believe in, recommending it will become effortless and as a result, you will get to your objective – make your first $100 online or more, much faster. So looks for product and then check for the affiliate link in the footer of a product website or do a Google search with the product name + affiliate program as a search term. Also, when you are just starting out, the general rule would be to join at least two, three different, but at the same time, related affiliate programs. This way you will protect yourself in case one company goes out of business or change some rules in their affiliate program. Now, some of the biggest commissions in affiliate marketing are usually paid by sellers of digital products. They have high-profit margins because they have no production costs or inventory storage costs. You can check out Clickbank and JVzoo that are two big digital product affiliate networks. You will find hundreds, and even thousands of different product vendors, selling all kinds of different digital products and some of them are even paying instant commissions so that you can get paid right away. If your niche lends itself better to physical products, you may also want to check out Rakuten. It is a massive global company based in Japan that offers millions of physical products that you can promote. Beyond these major networks, there are also thousands of individual affiliate programs offered by companies in hundreds of industries. We, here at DashNex, also have an affiliate program for our products. 1. Select the product first and only after you have chosen the product, look for the affiliate program. 2. Get specific details about the payment terms, so you can be sure when you get paid. Your objective is to get paid no later than 45-days after the sale. One more thing – keep it simple at first. 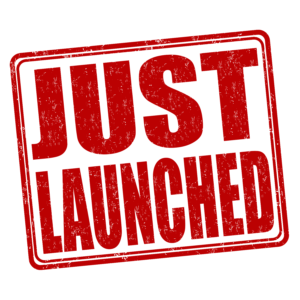 Don’t think about huge numbers yet, focus on making your first $100, $200 online. There will be a lot of things that you will learn during that process of making your first money online, and that will open all kinds of opportunities for your affiliate marketing business. At this point you have the niche and you know what kind of products you are going to promote. So the next step is to figure out how to get people to buy through your link, so you can start to make money ASAP. The best, of course, is when you can combine both – that’s what gets the most attention and also converts highest, but as a beginner of affiliate marketing you can focus on providing useful information. Let’s take an example: if your niche is youth hockey leagues, you will want to create content that gives parents or coaches useful information about the sport. You might create a long post about the best kinds of skates or a video showing different training techniques. In the blog or with the video, you would include your affiliate link to a useful product. The Internet is a crowded place, so to get noticed the quality should be outstanding. One BIG TIP that we can give you here is that you shouldn’t try to SELL anything. Nobody likes to be sold to. Instead, you want to present yourself as a friendly neighbor who is answering most essential questions, giving suggestions and providing the best possible tips. That’s what will get you result. Also, this is a numbers game, so the more high-quality content you create, the more people you will attract and the more money you will make. 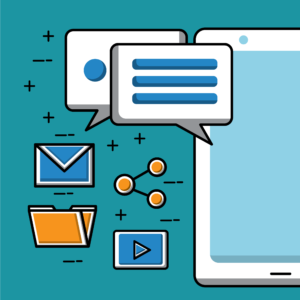 We have spoken on the importance of content in general here and we highly recommend you take a moment to read about it. No w that you have the niche, a product that you want to promote and content, it’s time to figure out how to promote it, so you can start to make some money. – Social media posts – publish your content on a Facebook page, Instagram post, Google+ or Twitter. – YouTube videos – creating engaging & entertaining videos on your topic. Over time you will want to use a combination of all of these different traffic sources, but for the start, you want to pick 1 or 2. In our niche report here we provide specific steps how to build a lucrative marketing campaign, so you can leverage any of the traffic strategies mentioned above. You see, affiliate marketing is like building a giant snowball. At first, your results will seem small, insignificant and sometimes you will get frustrated. But if your recommendation for a product is genuine, people will feel it and that will gather a momentum and before you know it, it will become a true money machine. We have seen how an affiliate makes 6-figures in a single month, starting from nothing. That’s what you can achieve as well. Affiliate marketing rewards people who are consistent, patient, and passionate. Once your campaign is underway, the final piece in the puzzle is to monitor, measure and adjust. Many people make a mistake here to look at some bogus numbers – likes, followers, clicks, etc.. None of that matters or at least it doesn’t tell the whole story, so you never know whether your results are right or not. Therefore, the key metric for you to look at is CONVERSIONS – everything is relative to that. Meaning, you might get 10,000 visitors to your page or post or whatever, but if nobody buys from your link, that traffic becomes irrelevant. On the other hand, you might get only 25 people to your post, but 10 of them buy through your link – that’s 40% conversion, so now your promotion becomes effective. Therefore, it’s essential to focus on this sole metric – conversions, it will tell you the full story on how well your entire marketing campaign is doing. The thing with the affiliate marketing is that you won’t get everything perfect. It’s always changing, so you’ll need to learn how to adapt and adjust. People who become masters at conversions tend to become the biggest money makers online, so learning the skill of measuring and adjusting your campaigns is a must. But, as a beginner affiliate marketer, the key to remember is this: everything you do must be high quality. If you focus on that, making first $100 online will be relatively easy. Alright, we hope that you’ll find this brief affiliate marketing guide for beginners post valuable and that it will trigger lots of questions for you. Our objective was really to give you the framework – steps to focus on, so you can expand your education in each of those and become a true master at this. Affiliate marketing is a great business model – something you can start today and make money tomorrow. Take action! This article was written by DashNex Marketing Team. Our objective with every single content piece is offer you insights, strategies and shortcuts from our own experience. If you have some questions, please do not hesitate to reach out to us. We'll be happy to help you!